Has a bachelor degree in classical ballet from The National Academy of the Arts in Oslo. worked as a model since the age of 14 and in 2010 started her own business, Ballerina Productions. She is currently working as a corp de ballet dancer in The Monte Carlo Ballet. Candela is half Norwegian half Spanish and is fluent in Norwegian, Spanish, Swedish and English. After graduating in 2008 she moved to Buenos Aires, Argentina to continue dancing in Julio Bocca Dance Company. After two years abroad she moved back to Oslo where she got her acting education at The Nordic Institute of Stage and Studio. Karin has since graduating from NISS done a number of short films, music videos and commercials besides her work in Ballerina Productions. She is also a columnist for Pjong Magazine and starting on her master degree in acting at KhiO this fall. 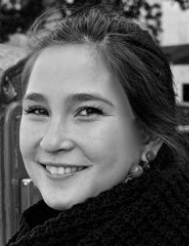 Karin is fluent in Norwegian, English and Spanish and is currently working as Production Manager and dancer in Ballerina Productions. 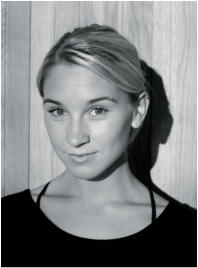 Hannah graduated from the The Royal Swedish Ballet School in Stockholm in 2011. Since graduating Hannah has danced several productions with The Royal Swedish Ballet, such as "Nutcracker", "Manon", "Coppelia" and "The Rite of Spring". 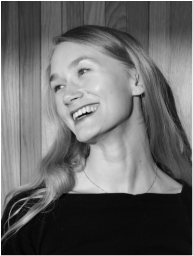 She's also danced with Scenkonstbolaget-Norrdans in productions such as "Of(f) Course" and "Windows". The last year she's been active as a freelancer and seen in choreographies by Giovanni Bucchieri, Mike Gamble, Hugo Viera and herself. When Hannah doesn't perform she's cooperating with different art forms, giving dance workshops across Sweden and teaching quite a few dance classes in ballet, pointe, improvisation and modern dance. 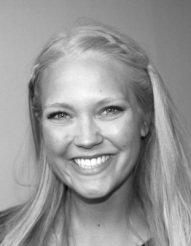 Hannah is half Swedish and half Australian and works as Production Manager in Ballerina Productions. Bejart in Lausanne Switzerland. She represented Norway in the Eurovision Young Dancers competition in Warsaw. After graduating she performed with Ballet Bejart and participated in a number of Musicals set in Norway's most famous theaters. She is now based in Oslo as a freelance dancer, singer and musical artist. 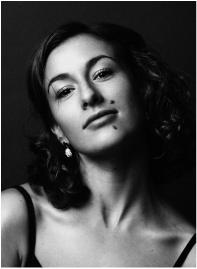 Fransiska is fluent in French and one of our dancers in Ballerina Productions. 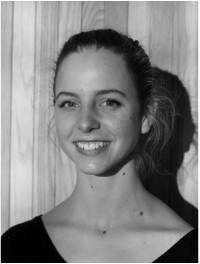 After graduating in 2008 Elisabeth travelled to Lyon France to continue her dance studies at Conservatoire National Superieur de musique at danse de Lyon, Jeune Ballet. She has been a member of Theatre Kiel in Germany and the Norwegian National Ballet since graduating in France. She is now based as a freelance dancer i Oslo. Elisabeth is half Norwegian and half British. She is fluent in Norwegian, French and English. Is originally from Gothenburg Sweden but has a bachelor degree from The National Academy of the Arts in Oslo. Since graduating in 2012 she joined the Norwegian National Ballet as a corps de ballet dancer. Klara has represented Norway in the prestigious ballet competition "Prix de Lausanne" in Switzerland. received her bachelor degree in Jazz dance from The National Academy of the Arts in Oslo in 2011. After graduating she has later been working as a freelance dancer in various scenes in Oslo and abroad. Hedvig also works as a full time model and personal trainer. has a bachelor degree in jazz dance from the National Academy of Arts in Oslo. After graduating in 2011 she has appeared in several performances; West Side Story, Eurovision song contest, Mind The Gap, Dans/5 and MDFS International Gala Performance among others. Cassandra has also trained frequently with the famous Bat-Sheva company in Tel-Aviv. 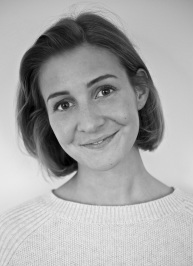 She is currently based as a freelance dancer in Oslo, and working with Hege Haagenrud in the piece "How to be alone" besides her work in Ballerina Productions. Cassandra is half Norwegian and half Chinese. has a bachelor degree in classical ballet from The National Academy of Arts in Oslo. After she graduated 2013 she has been working as a corp de ballet dancer with the Norwegian National Ballet. Sofia is half Norwegian and half Spanish. is currently in her third and final year at The National Academy of the Arts in Oslo, and will receive her bachelor degree in jazz dance after graduation in 2015. During her education she has worked with and performed pieces by renowned choreographers such as Toni Ferraz, Tine Erica Apaas, Subjazz, Jens Trinidad, Christine Nypan and Masja Abrahamsen.